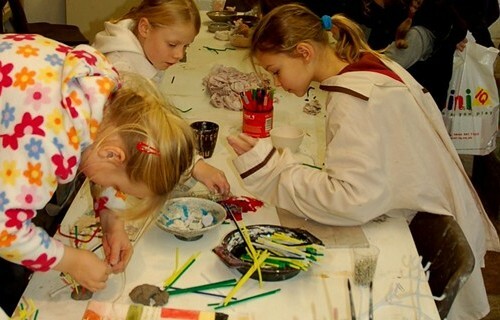 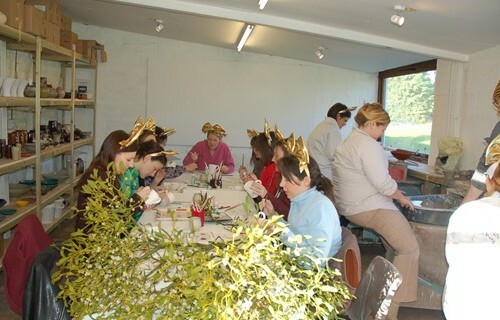 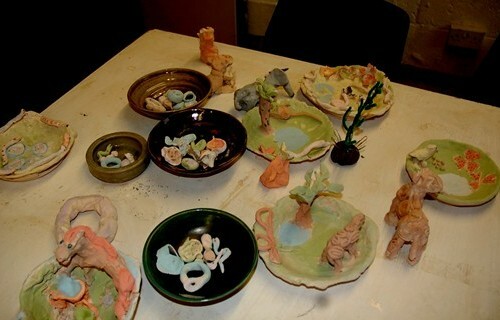 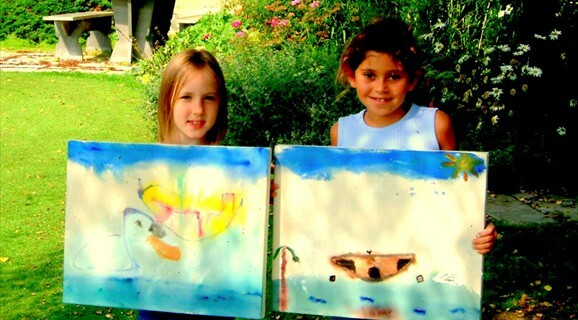 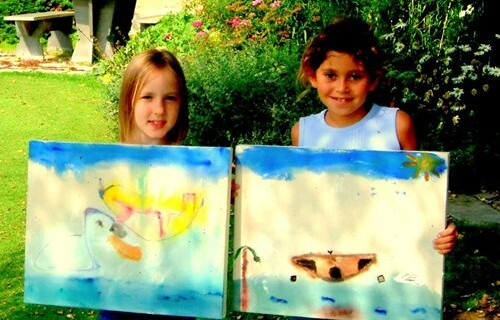 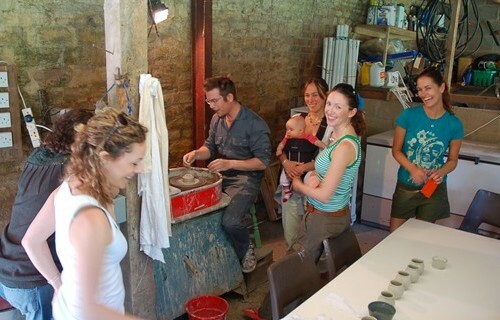 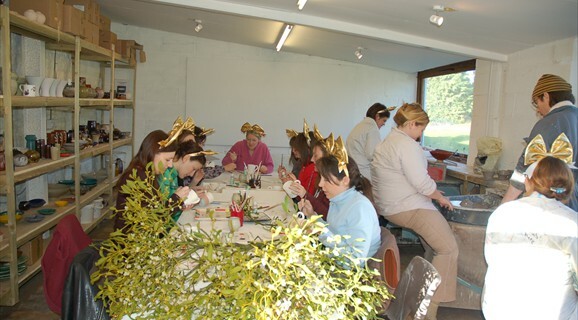 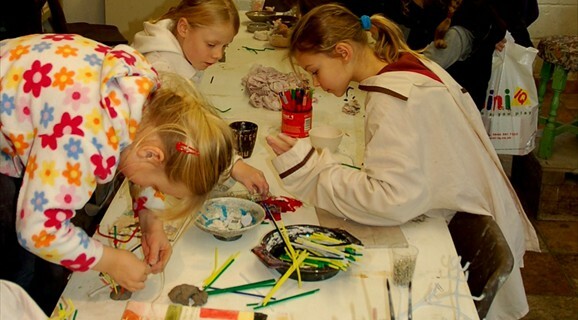 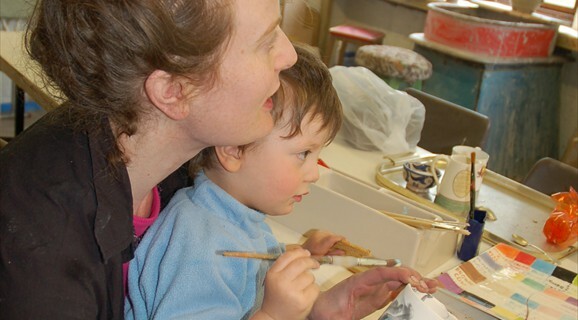 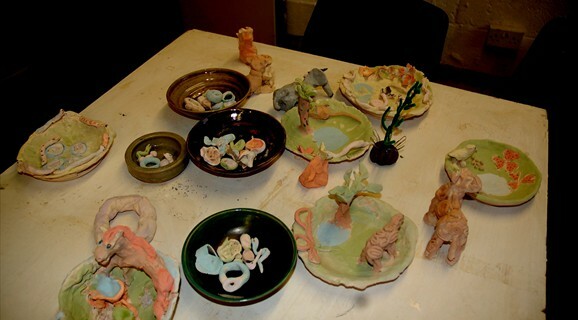 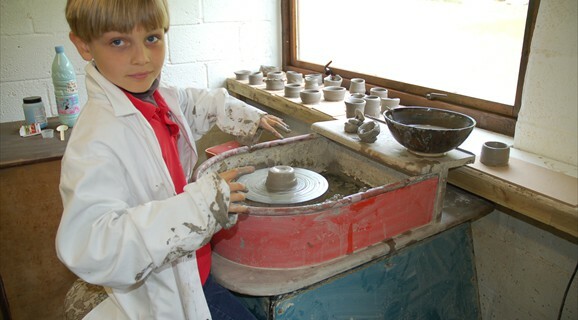 Just behind the Manor House is our very own pottery and art studio. 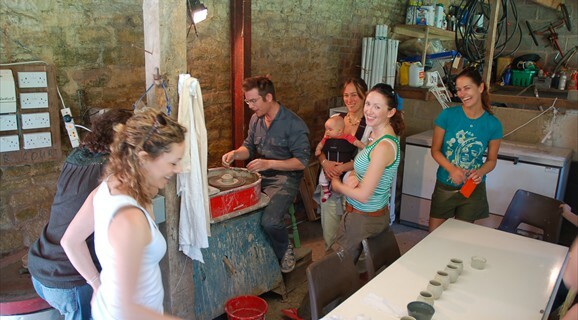 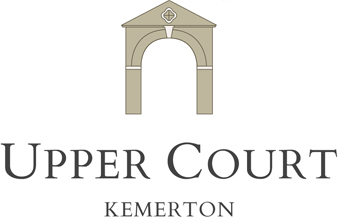 This makes it easily accessible from surrounding towns such as Tewkesbury. 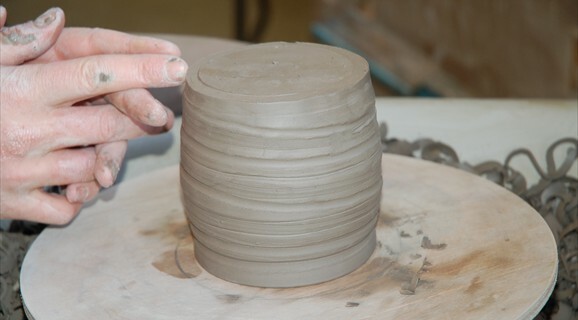 Click here for class information, prices and to book. 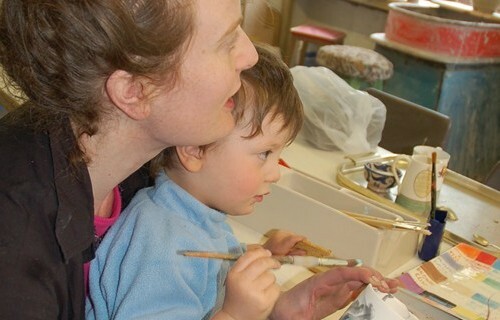 We cater for all levels, children to adults, from complete beginners to those with experience. 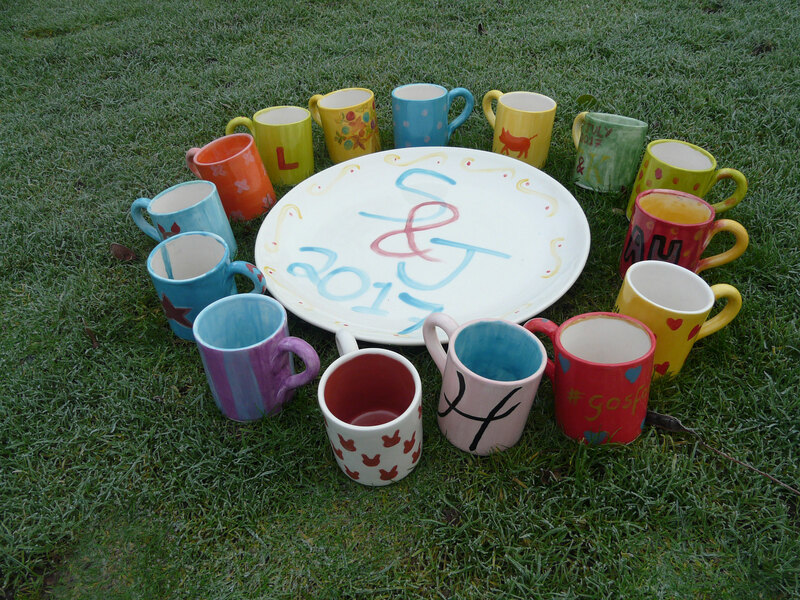 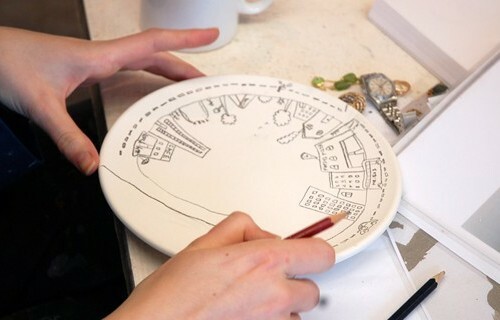 a bisque fired mug or plate to decorate with paints. 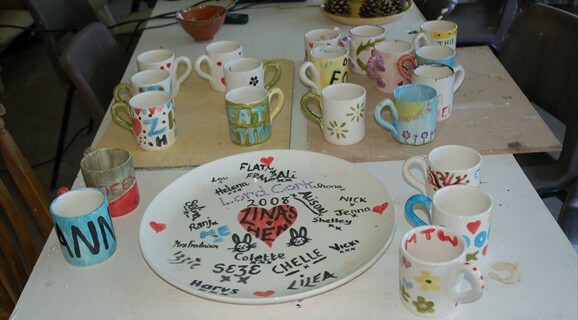 This is glazed and fired for you by us and normally ready for you to collect the next day. 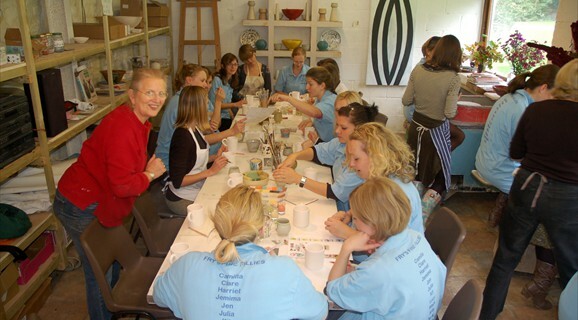 a large size bisque fired plate can be provided for special events such as hen parties, birthdays etc for all group members to decorate. 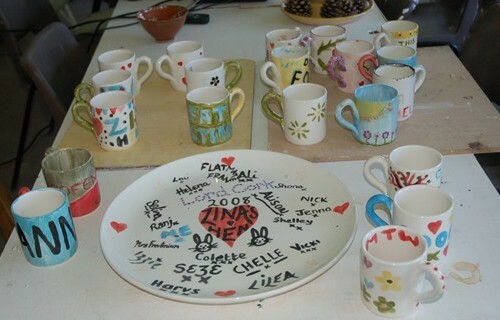 Glazed and fired at an extra cost of £25 per plate. 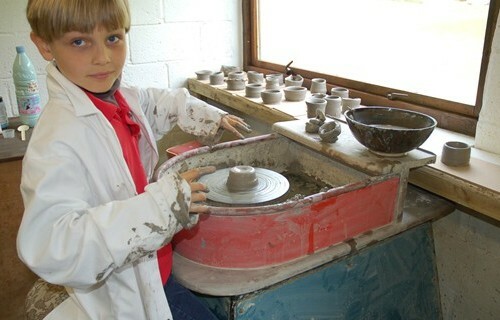 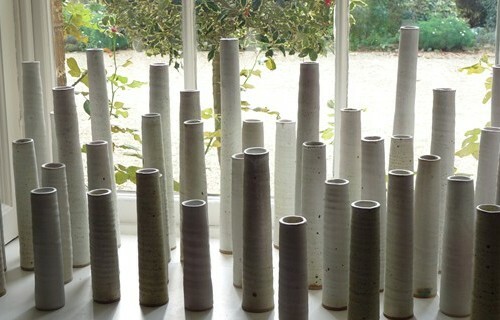 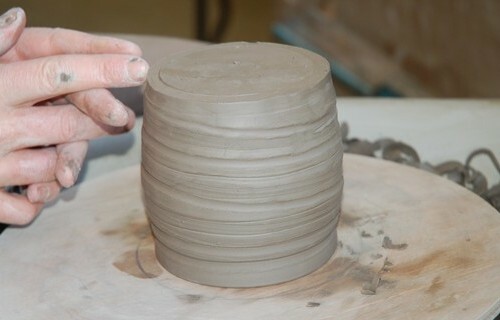 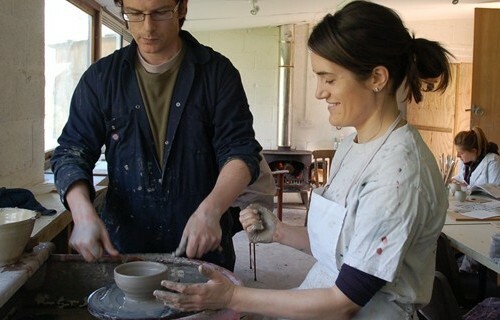 half an hour tuition on the wheel – These are practice pots, not fired, and you are welcome to take home your best effort. 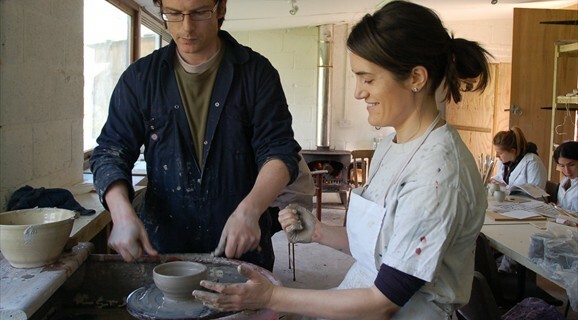 Clay can be a messy business so we suggest you bring an overall or old clothes to work in. 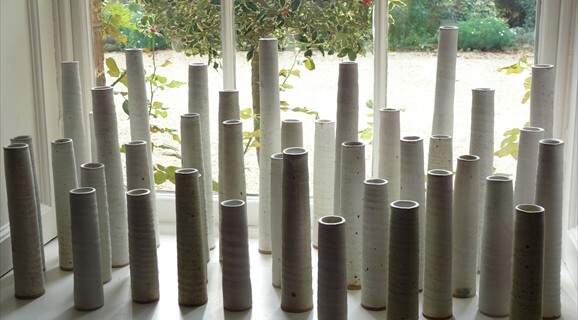 We’ve plenty of ideas to inspire you. 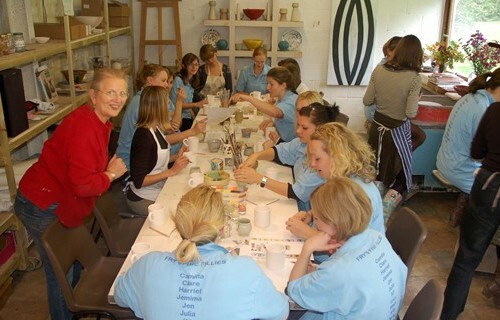 And you’re welcome to bring your favourite music and any refreshments to help those creative juices run. 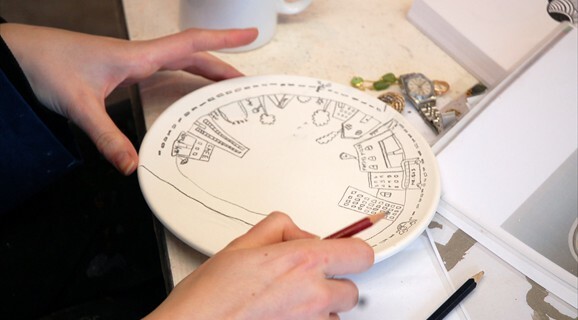 Call +44 20 8576 6278 or email info@kitestudios.org if you’d like to book a lesson or ask any questions.